with the goal of making learning fun. soon be here and look forward to another summer of fun in the sun! LCE is a self-sustaining, integral part of the Lexington Public Schools, committed to bringing lifelong learning to all. We provide practical, creative, and fun educational opportunities at reasonable cost. We seek to provide the best teachers and the most engaging subjects. Our programs are open to all adults and young adults, regardless of residency. 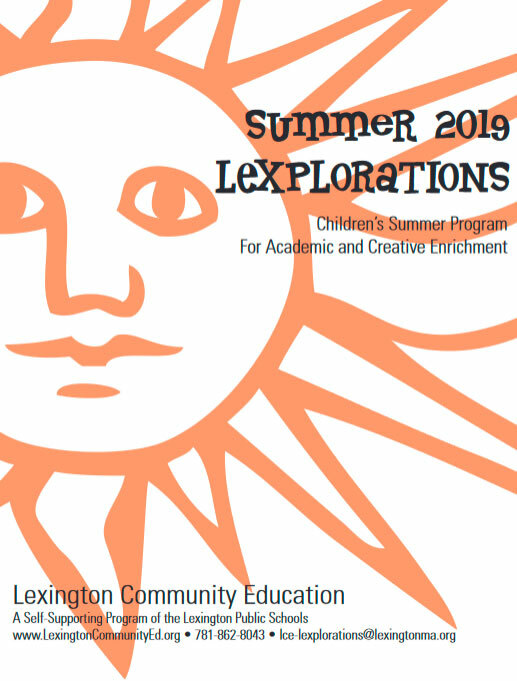 We also offer an extensive summer children’s program called LEXPLORATIONS, which offers creative and academic classes. You do not need to be a resident of Lexington to enroll in our classes.